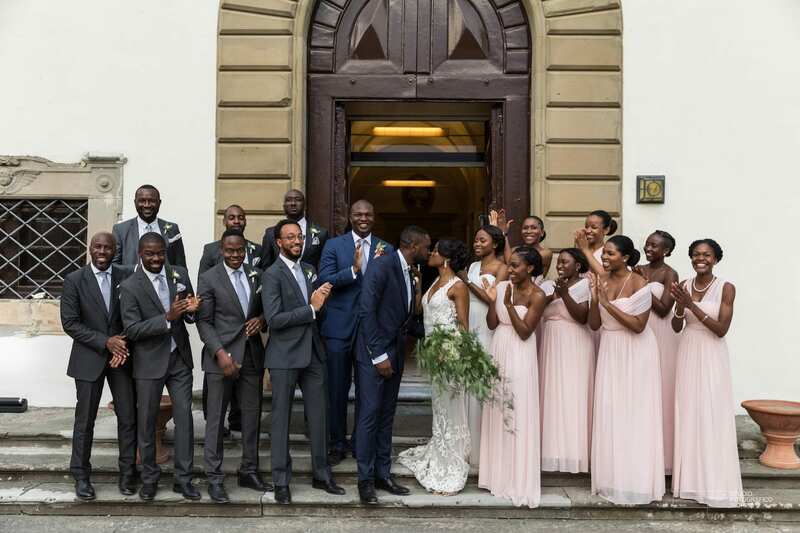 From the moment Ogugua called our office, we had about three months before her August wedding in Florence, and all that had been booked at this point was just their wedding venue. 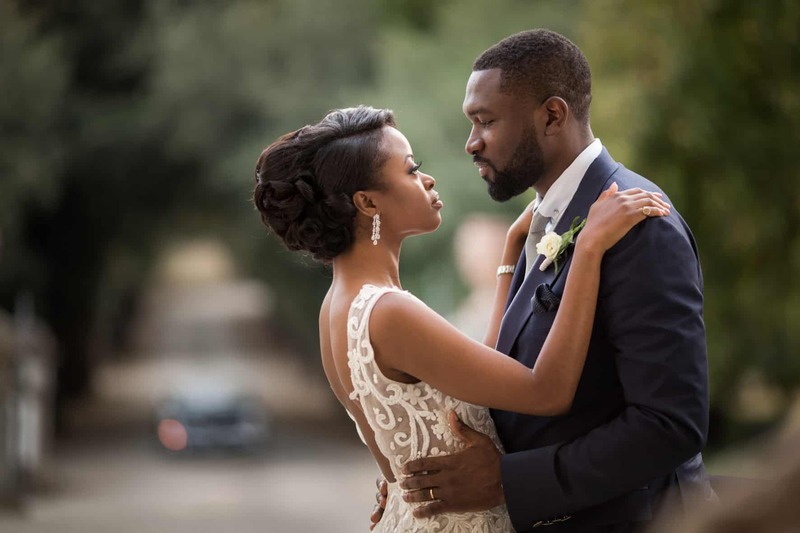 We immediately fell in love with this couple – originally from Nigeria, but Londoners by adoption – due to their enthusiasm and likability. A strong chemistry was established from the get-go between Ogugua and our team! 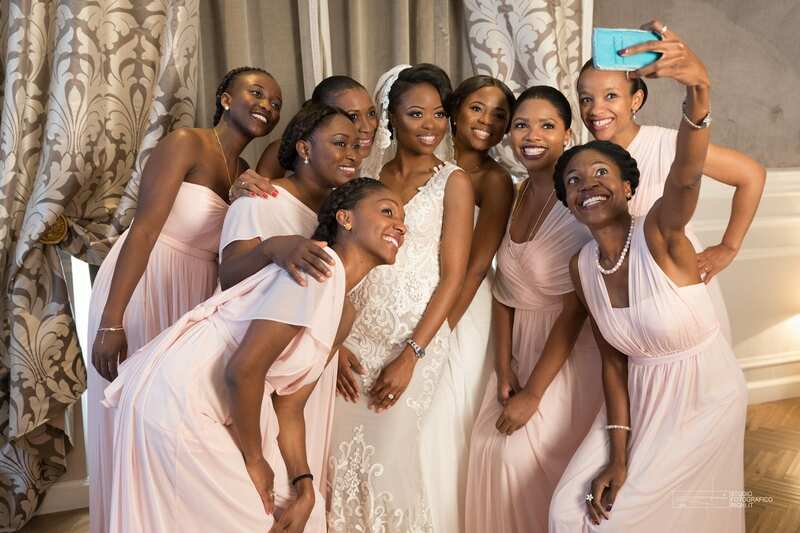 The bride had very clear ideas, and all we had to do was find ways to turn them into reality. Once we understood the couple’s wishes and agreed the event’s overall concept, we immediately skipped to operations. 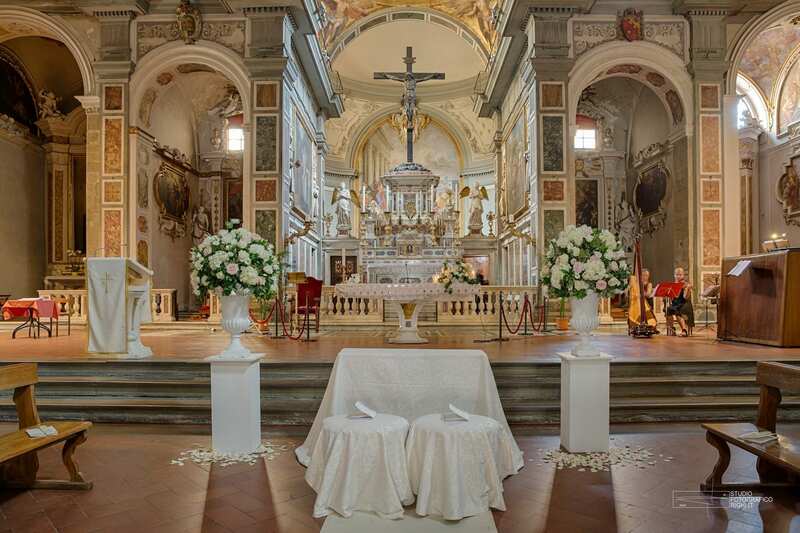 In fact, the main challenge of this wedding was figuring out its logistics: everything had to be organized a month ahead from the big day, since it is hard to find vendors who are open and working in Italy in August. Moreover, we had to cater to the needs of 250 guests during the days of the event, which always requires special attention on our side. 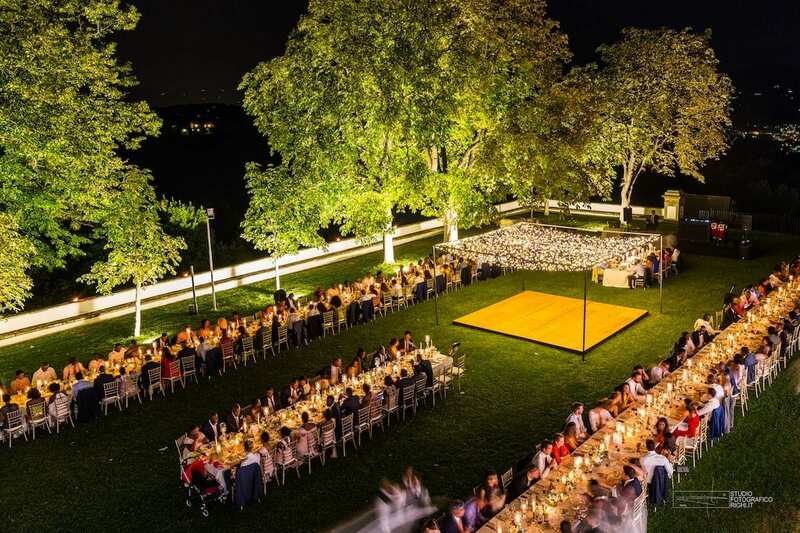 The bride and groom wanted to turn the gardens of Villa Corsini into a party area, with long parallel tables and a dance floor in the centre, which would turn into the main attraction of the night. 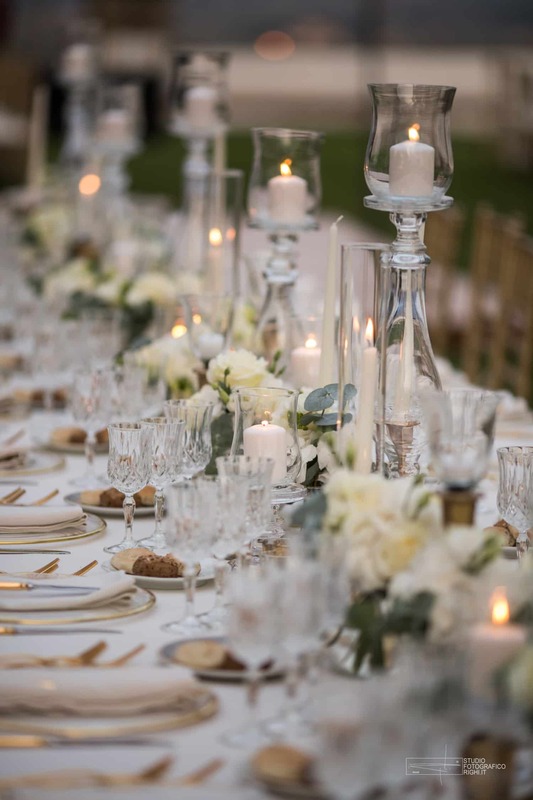 The couple wanted to be at the centre of attention, surrounded by their friends who came from near and far to celebrate them, so we opted for a low-key yet elegant décor consisting of white flowers, transparent glass panels and lots of candles. 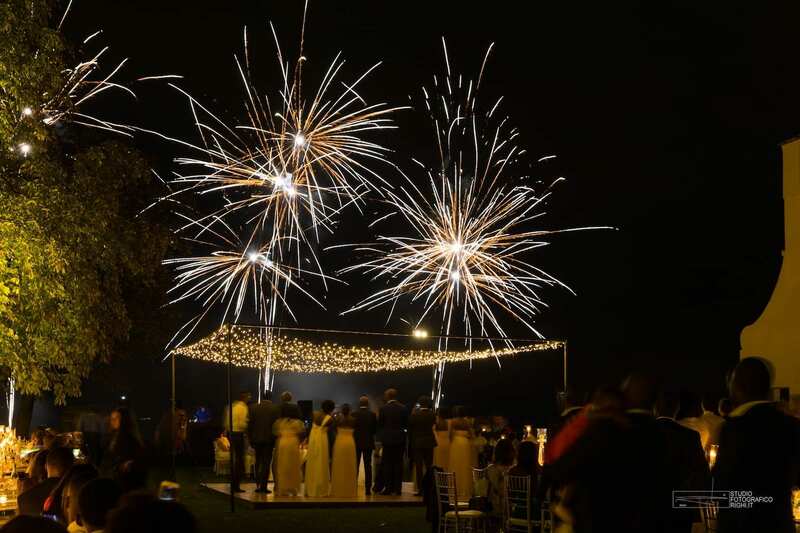 We created a starry sky above the dance floor by installing fairy lights, providing a magical atmosphere for Ogi and Yemi’s first dance that kicked off the festivities. Music was another of the highlights of the party, with a band and a DJ who travelled from London. 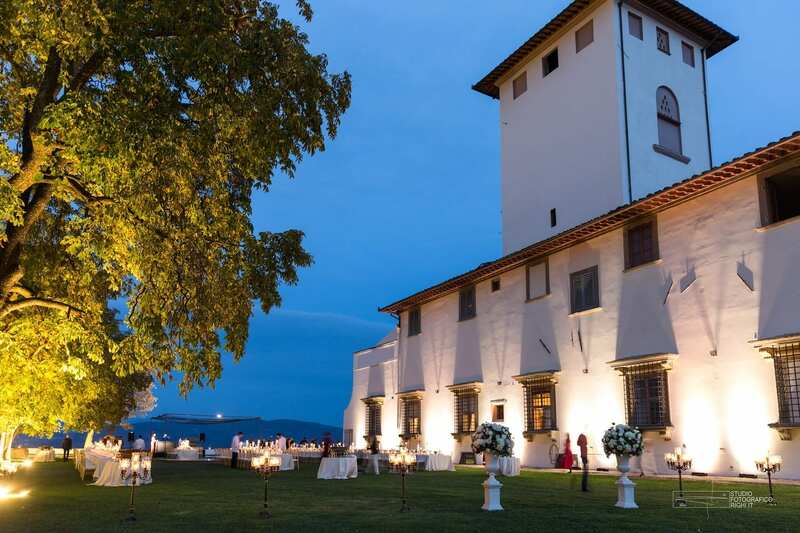 At the night preceding the wedding – a cocktail party at Villa Bardini – we saw how the couple and their guests were all just naturally born dancers! 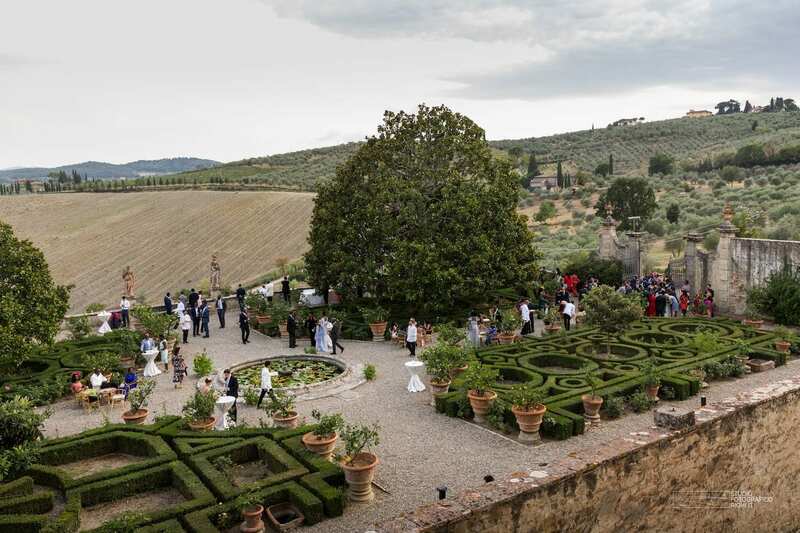 From the preparations leading to the wedding, the ceremony at the Church of Ognissanti and then the reception and the wild late-night party, everything went according to plan, and even better! We are truly happy to have had the opportunity to take part in the organization of this dream come true.